One wrong step in the Mojave Desert can bring you within striking distance of a scorpion. This is something I know all too well. 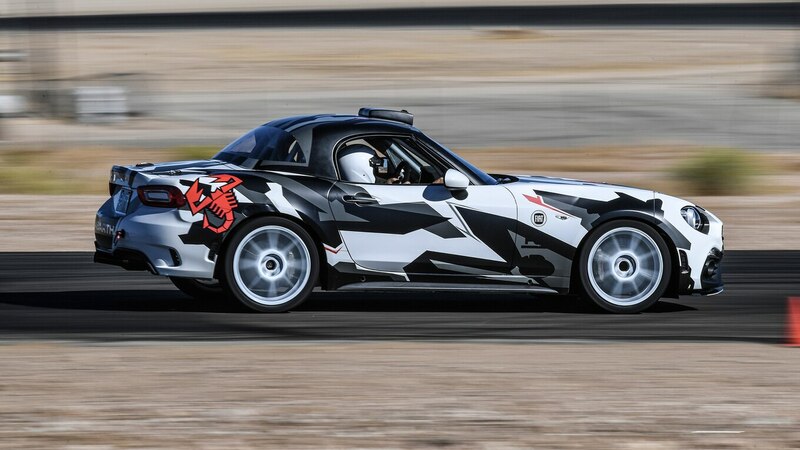 One recently followed me around at Honda’s desert proving ground with its arms raised and its beady eyes staring like it wanted me for dinner. Could you imagine coming face-to-face with one weighing 2,500 pounds (1,134 kg)? Fortunately, I don’t mean one of those giant arachnids from a ’50s sci-fi movie. 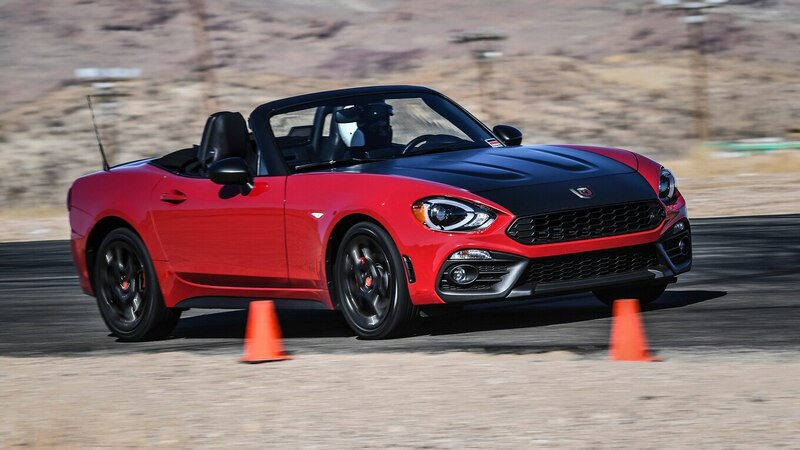 But rather, my encounter was with the much sleeker 2019 Fiat 124 Spider, decked out in Abarth’s famous red and yellow scorpion logo. 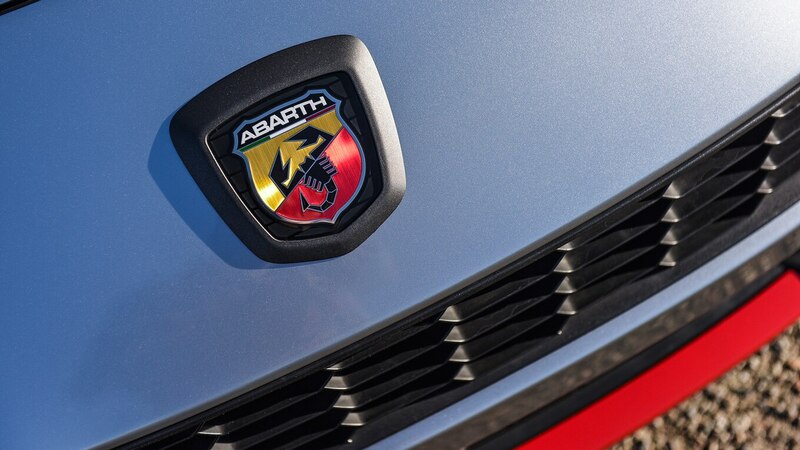 The Abarth emblem was inspired by Carlo Abarth’s astrological sign—Scorpio. 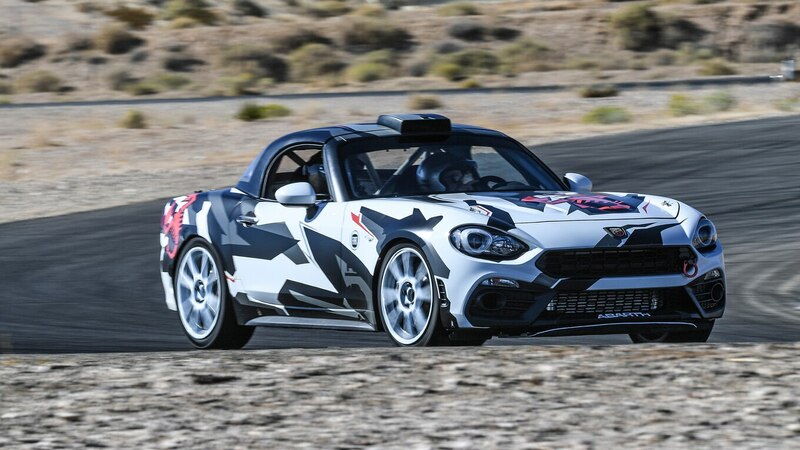 For 70 years it’s been intimidating competitors in its various incarnations as a race car and performance road-car builder, as a demon tuner, and since 1971, a symbol of adrenaline-addled Fiats. 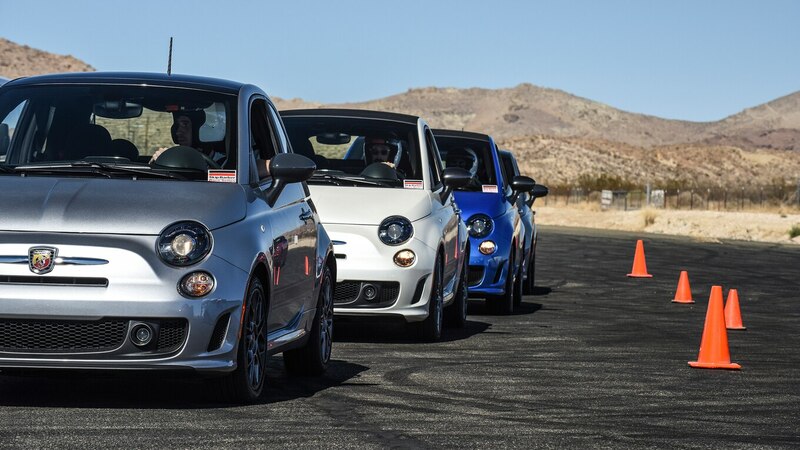 In commemoration of Abarth’s seven decades, Fiat invited us out to the Mojave’s best 1.55 miles (2.49 km) of asphalt designed for determining handling and cornering prowess and faults—the Streets of Willow road course—for some laps in the 124 Spider Abarth (as well as a Fiat 500 Abarth) under the tutelage of the friendly Skip Barber Racing School. With a heart full of excitement, I stepped into the Spider without hesitation. 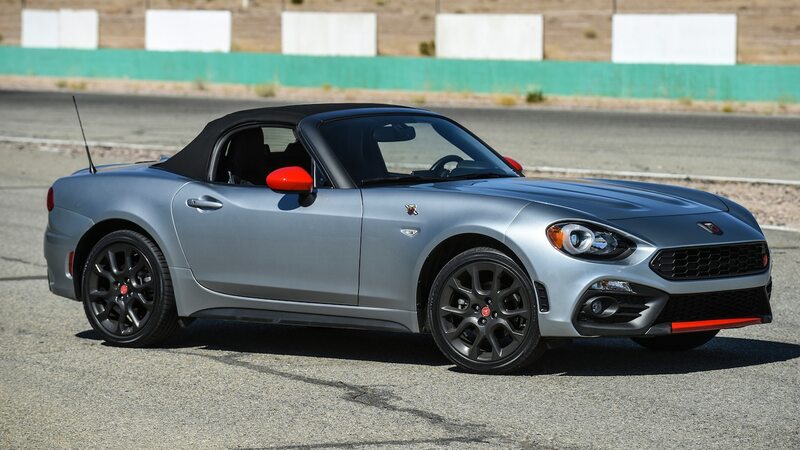 Prior to transforming into its Abarth form, the base 124 Spider is already an excellent sports car. 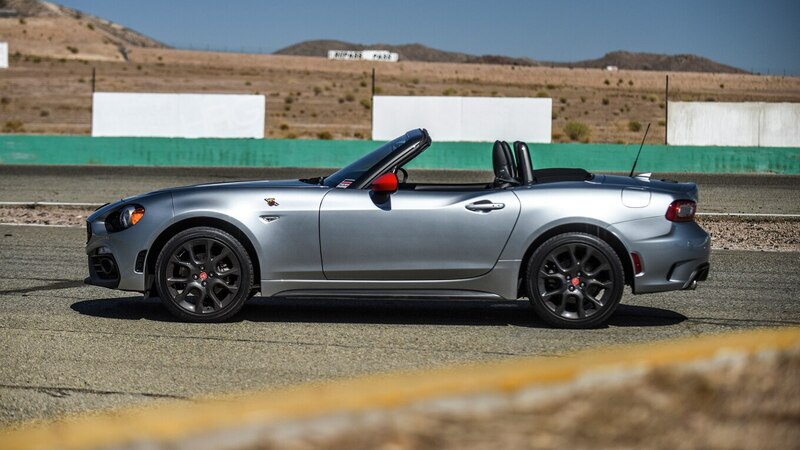 A 23andMe test would find that most of its DNA has been replicated from the spritely Mazda MX-5 (it’s even manufactured in Hiroshima). However, don’t let that information fool you. 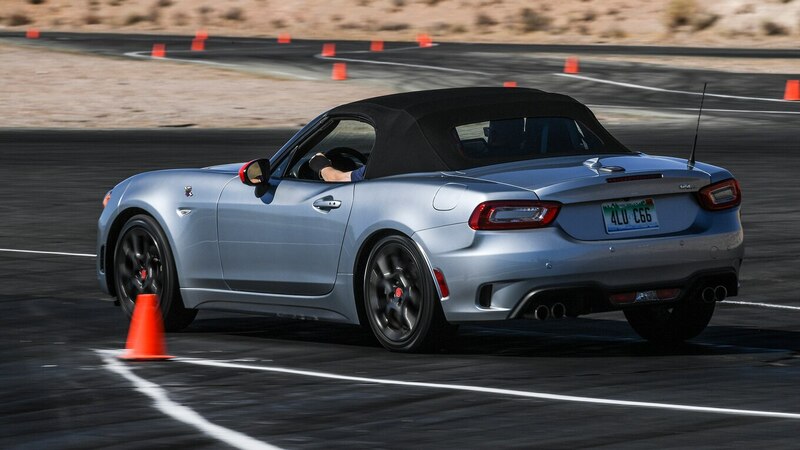 Although it shares a similar foundation, the 124’s 160-hp 1.4-liter turbocharged heartbeat, handling poise, and coachwork couture are all-Italia. 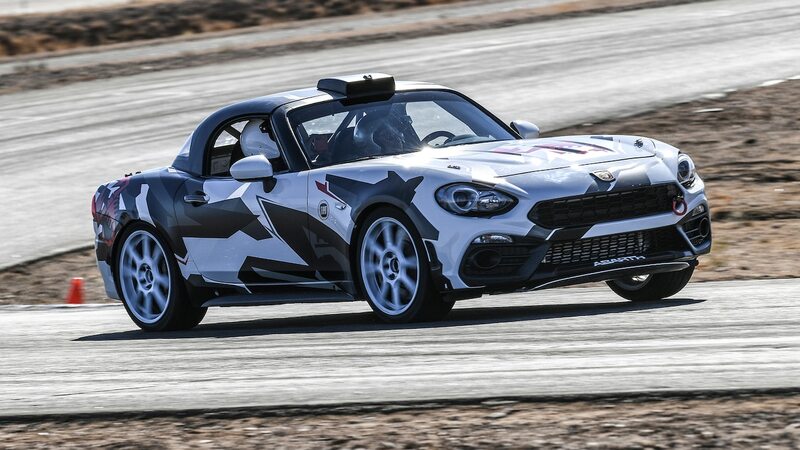 To explain its Scorpion details, Daniel Fry, the Fiat 500 vehicle development engineering manager for North America, walked us around the 124 Spider Abarth before setting us loose on the track. Car journalism 101: The first thing to do is select Sport mode. 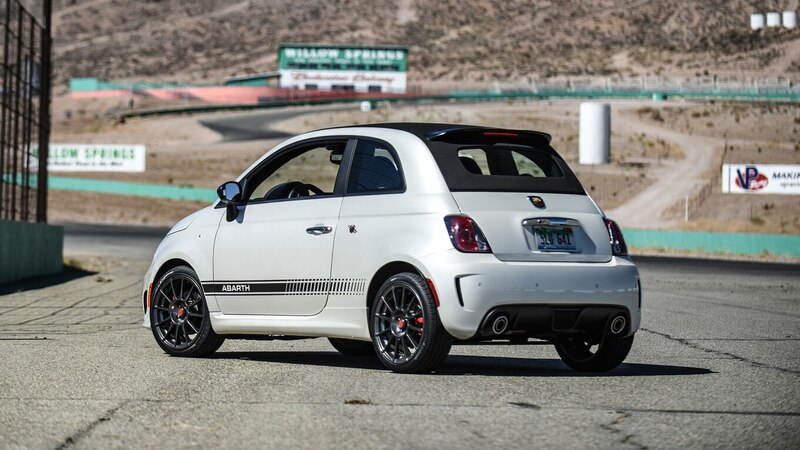 In the case of the Abarth, Fry says, it “quickens acceleration response, changes [the automatic’s] shift points and quickness, and turns up [the manual’s] boost.” Plus, it slides the 184-lb-ft torque peak down from 3,200 rpm to 2,500 rpm for better acceleration exiting the corners. To me, acceleration felt instant. The throttle was significantly more responsive, and steering had better precision than before. It made it very easy to maneuver spiritedly through corners. And on the notorious L.A. freeways, gliding around traffic as to not miss the oncoming exit proved to be an effortless task. In its default drive mode, the 124 was already a fun car, but Sport mode makes the drive more engaging and zippy. Like adding jalapenos to a burger, it gives it that extra kick that allows it to surpass its already glorious experience without overwhelming you. Ever heard a scorpion growl? Sound plays a key role in the way many of us experience driving. 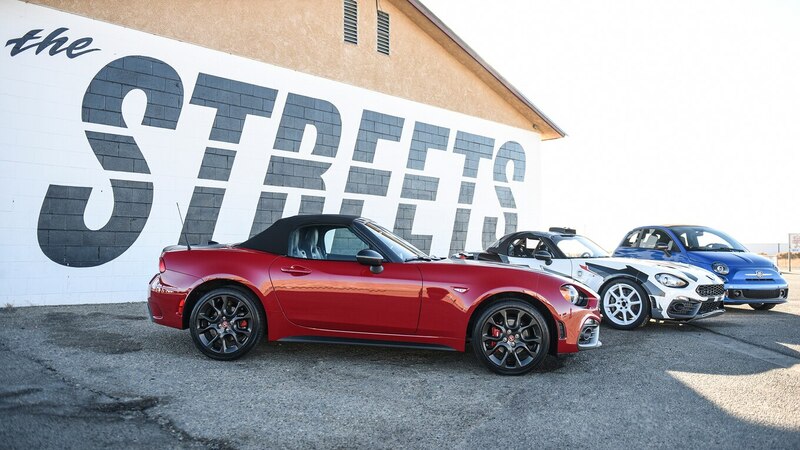 There are some cars that you want to be a quiet, elegant ride and others that need to roar. 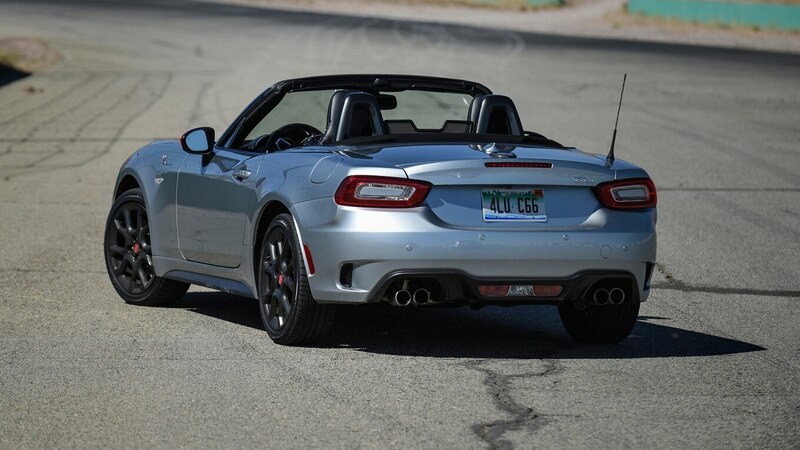 This edition of the 124 Spider Abarth features an available Record Monza exhaust, which adjusts exhaust tone and flow in response to driving dynamics and engine load. 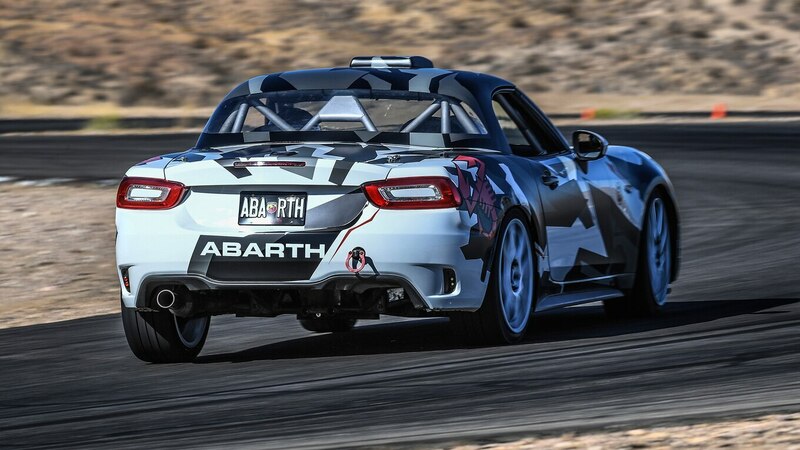 I first heard it as I slithered through the autocross course with a Skip Barber instructor riding shotgun. 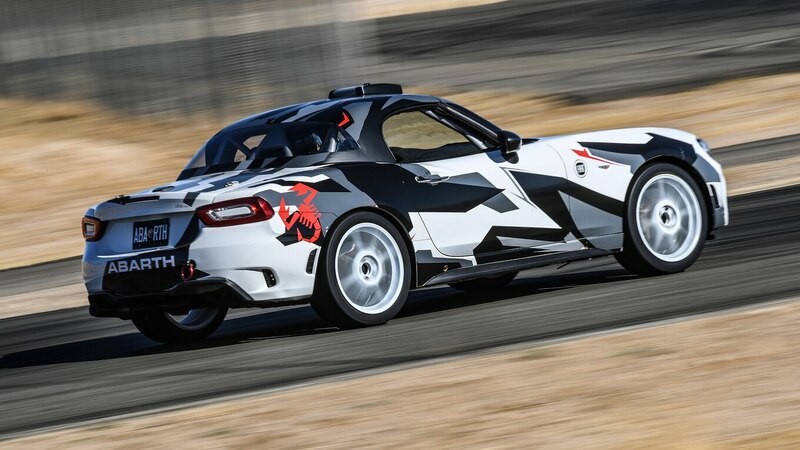 Just idling, it sounded majestic, but on the course its real growl properly emerged—a stunning aria that sounds like the aggressive howl of a beast right before it attacks. The Record Monza exhaust runs an additional $995 USD on top of the $30,535 USD base price, but I believe it’s more than worth its price tag. 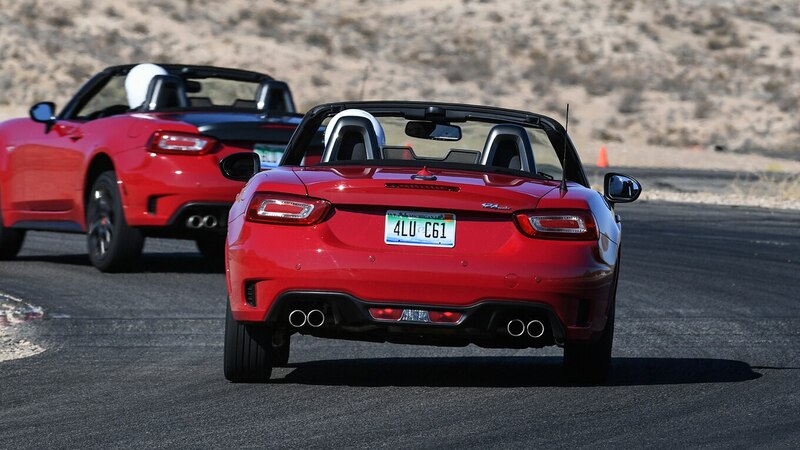 As a back-to-back, I went out again in a 124 sans Monza exhaust, and it was so quiet that it sounded dull—an acoustic 180 that significantly diminished my initial excitement to drive. Safe to say, this one needs to roar. 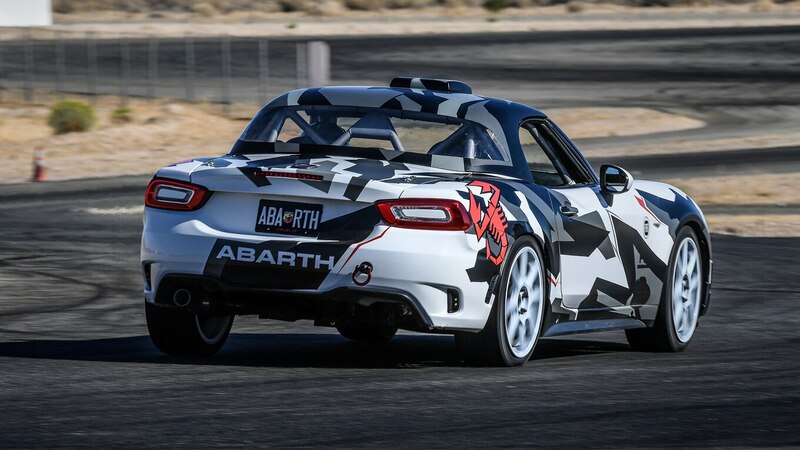 In addition to its ferocious snarl, the 124 Abarth also has an aggressive look that truly distinguishes it from the tamer Classica and Lusso models. 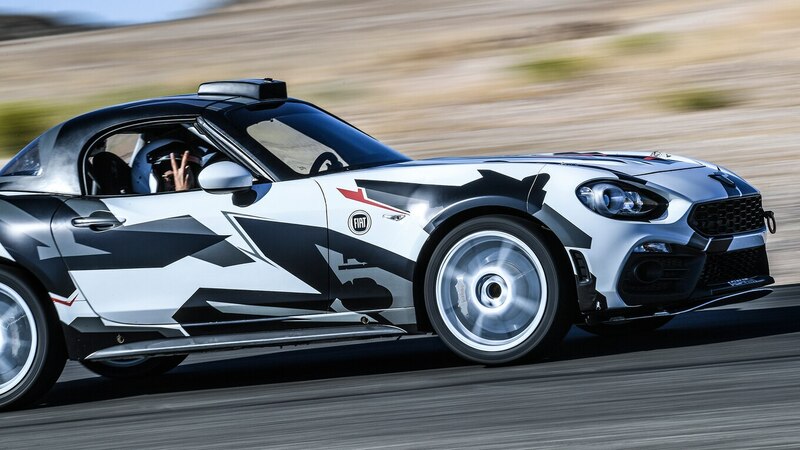 Veleno, which translates to “poison,” symbolizes the iconic Abarth scorpion, and this exclusive appearance group ($495 USD) gives the Scorpion a unique exoskeleton that goes hand in hand with the Monza Exhaust. This option includes a bright footrest, Abarth-branded carpeted mats, red exterior mirror caps, a red lower fascia lip, and a red front tow hook. These pops of red provide a beautiful contrast against the neutral exterior colors, which include Puro White Tri-Coat Pearl, Brillante White, Forte Black Metallic, and Chiaro Silver Metallic. As for the interior, the two options include Nero (black) or Nero/Rosso (black/red). On the track, the 124s with this option significantly stood out from the crowd. And when it was “first come, first served” to choose which 124 to lap around the track, I was always immediately drawn in by the poison. 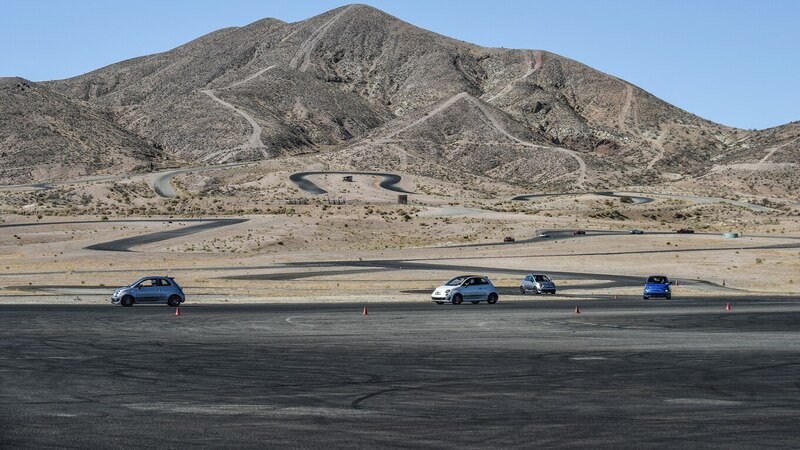 In conjunction with lapping Streets of Willow, Fiat and Skip Barber ran us around a skidpad and autocross course, where I was most struck by two things: the 124’s minimal body roll around the racetrack and autocross (compared to the Mazda version) and its electric power-assist steering’s responsiveness, which made for some pretty quick recoveries on the skidpad. Simply put, if you wanted the car to follow an intended course, that’s exactly where it took you. The Skip Barber instructors were very thorough in providing us with the necessary protocols should we find ourselves spinning out or losing control. However, there was no point in time when I felt uneasy with the 124’s handling capabilities, which made it a very predictable and continuous drive. I asked instructor Terry Earwood how to improve my skills on the skidpad. “Buy a 124,” he said. Good comeback. Like a lot of Gen Zs, I haven’t grown up driving many manual transmissions. 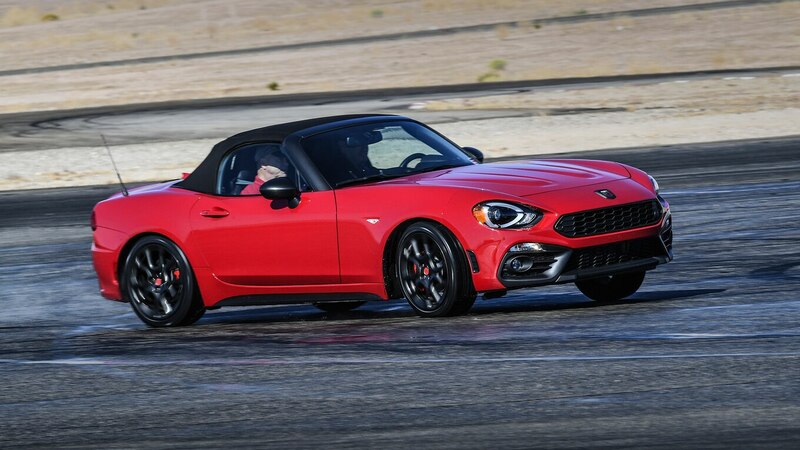 But the Spider’s light effort and short-throw shifter quickly made me more confident, as did the easy-to-engage clutch—an important point for a relatively short girl like me. The whole car is like this. It builds your confidence almost instantaneously. 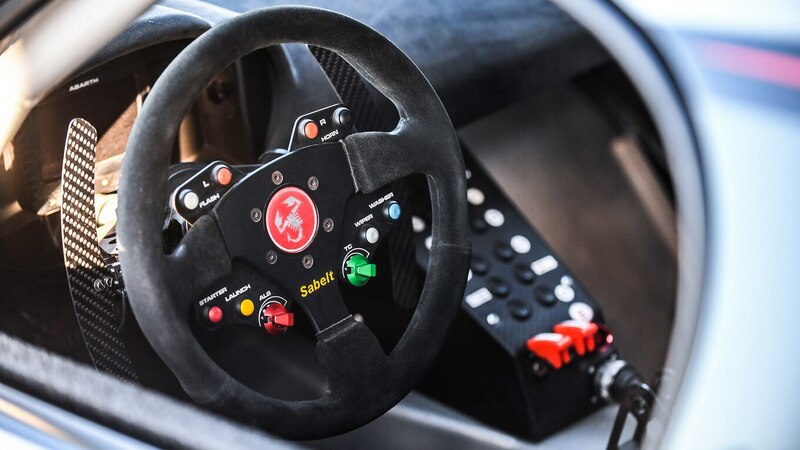 With every new corner and straightaway, it makes you comfortable to test yourself that much more. 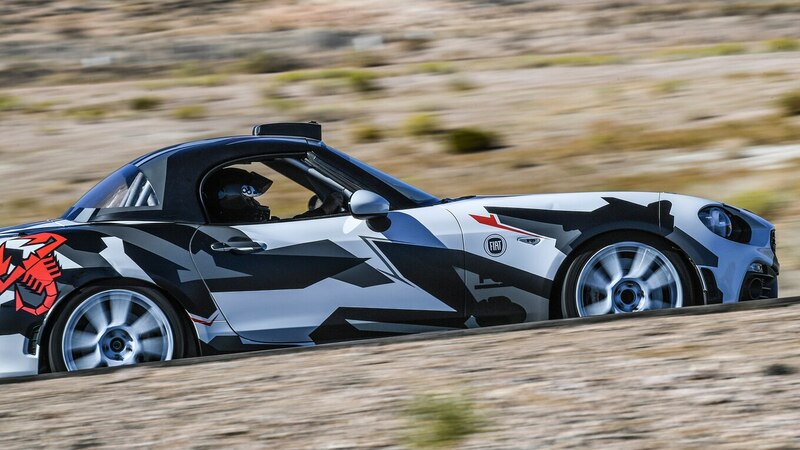 It begs you to try harder and explore your capabilities and limits, as well as those of the car. I admired the natural feel of this manual transmission, which fooled me into believing I had been driving this car for years rather than one day. You forget the shifter is its own entity and not an extension of your own arm. 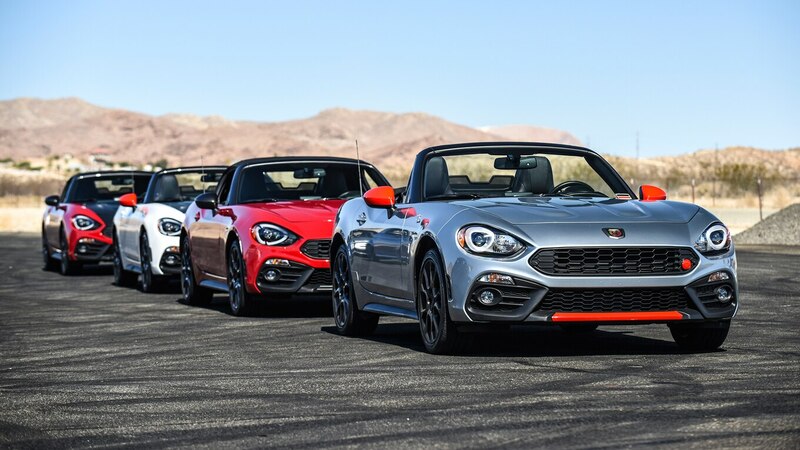 There are bound to be skeptics who protest that the Abarth version of the 124 Spider offers no significant increase in performance over the base model. In that case, they would be right—and wrongish, too. It’s true that this scorpion doesn’t deliver a gut-wrenching sting that would send you to the hospital. 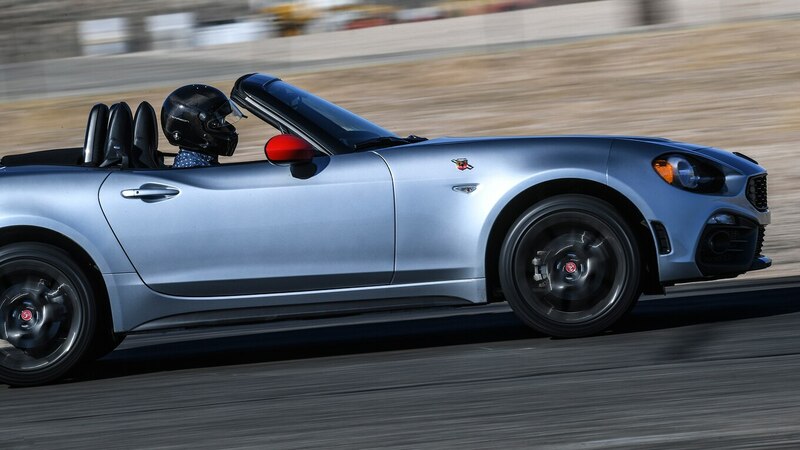 However, it’s a genuinely built sports car that succeeds in being both fun and affordable. I can only hope to have this much fun on my own 70th birthday.